Black tea is the most addictive beverage in the world. People start their day with a cup of this tea and feel energized to fight the drudgeries of their hectic lifestyle. It has its name derived from the blend of its color. However, it is called as Red Tea in China due to its reddish tone. Extracted from the plants of Camellia Sinensis, it is the most loved and admired tea among its peers. Varieties like green tea, oolong tea, white tea, and black tea are manufactured from this same plant but the method of oxidation does all the trick of transforming their blend and flavor differently. Preparation of black tea leaves is simpler than other varieties available in the market. Fully grown leaves are plucked from its plant and withered to eliminate moisture from them. These leaves are oxidized at high temperature after their stringent drying. Machine and manual, both methods are popular in tea processing. Lastly, tea leaves are categorized according to their size and quality. Black tea is packed with unlimited nutritional values that constitute countless benefits to your health. Due to a higher anti-oxidant component, it delivers impressive results in many diseases. Its properties are different from fruits and vegetables. The content of caffeine and aroma is also relatively higher in black tea as compared to its counterparts. All these factors make it a viable and tasteful choice of beverage for the caffeine addicts. Thankfully, it offers a lot of varieties as well. The area of cultivation has large influence upon the aroma and color of black tea. Intense study on black tea has revealed that it has power to strengthen the cardiovascular system of body. Flavonoids, the anti-oxidants present in it help your body to eliminate LDL, the bad cholesterol. This development can prevent the damage of arterial walls as well as blood streams of body and help reducing the risk of heart diseases. Also, it is beneficial in prevention of endothelial vasomotor dysfunction which is a coronary artery disease. The properties such as manganese and polyphenols in this tea stimulate the functioning of cardiac muscles as well. Interestingly, black tea also offers such remedial effects that can prevent the growth of cancerous cells. Antioxidants like polyphenols, theaflavins, and thearubigins are found abundantly in it. This compound is effective in eliminating the risk of ovarian, bladder, lungs, colorectal, breast and prostate cancer. Free radicals which cause potential risk of cancer can easily get eliminated by consumption of black tea. In some studies, it has also facilitated in reducing the risks of oral cancer. Your health largely depends on immunity. It is the inner strength that resists infections, virus, and other such attacks. It is seen that regular consumption of black tea can enhance the power of body to fight infections and viruses. A periodic study on tea has suggested that people drinking black tea had fewer probabilities of hepatitis, cold, influenza, flu, etc. as compared to those who didn’t. It is rich in tannins (catechin), a magical element that has ability to resist virus. The alkylamine antigen present in it is also responsible to boost the immune system. Catechin in black tea is also helpful in reducing the risk of oral cancer. Polyphenol and tannins work as antibiotics for oral health and reduce plaque deposition. Eradicating the bad breath and tooth decay are its primary benefits while it also removes bacteria and strengthens teeth. Two cups of black tea daily can minimize oral problems up to a great extent. As compared to coffee, black tea has lesser caffeine component in it. This low volume is highly advantageous for brain functioning. It also has amino acids in the form of L-theanine that improves alertness and concentration. It rejuvenates the mind and work as an energizer for people in stressful jobs. It is caffeine that reduces the level of cortisol which is a stress hormone. Also, it is believed that black tea improves memory power. Improved digestion system reduces the risk of stomach problems as well. 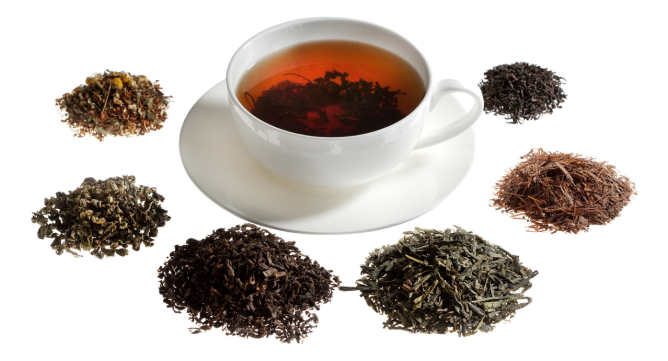 Tannins and polyphenols are the vital constituents of black tea. Both of these contribute towards a better digestive system. Tannins fight gastric problems and clear intestinal tract for improved functioning. Polyphenols eradicate irritable bowel syndrome and reduce intestinal inflammation as well. Black tea consumed without sugar or other added calories can be beneficial for your weight loss regimen. In fact, this tea is quite low in fat and sodium content which helps you to manage your weight. Simultaneously, it has powerful elements that increase the rate of metabolism. Its multiple benefits certainly bring effective results for weight loss. With growing age, weak bones cause persistent problems. Black tea has flavonoids which can reduce the risk of waning bones. A long-term study on old aged people under similar conditions revealed that risk of hip fractures reduces drastically in people consuming black tea regularly as compared to those who don’t. Black tea has powerful phytochemicals that stimulates more strength for bones and keep problems like osteoporosis at bay. A research was conducted on some aged people in Mediterranean Islands to estimate the risks of diabetes correlated to black tea. This study revealed surprising results that restrained consumption of this tea over a long period of time can considerably reduce the risk of Type II diabetes with 70% lesser chances. Black tea is packed with healthy minerals and vitamins. Magnesium, zinc and potassium along with vitamin B2, E and C are special compounds that are good for skin. These components are beneficial for reducing wrinkles, pimples, and early signs of skin ageing. Black tea stacked with antioxidants is useful in preventing skin infection and fungus as well. Regular 1-2 cups of black tea may protect you against skin cancer. The tannins and polyphenols in black tea are responsible to enhance the skin regeneration process. Tannins are also important to improve blood circulation, reduce impact of extreme climate, and protect your tender skin against bacterial attacks. Black tea has such nutritional compounds that help or stimulate hair growth. Continuous use of black tea can make your hair strong and shiny. Dihydrotestosterone (DTH) is a type of hormone that leads to constant hair loss. The unique caffeine content in black tea works naturally and reduces this harmful DTH hormone. This, in turn, increases the density of hair. Not only by consumption but black tea is beneficial for hair through application as well. Rinsing hair with tea soaked water can certainly bring back its lost luster and density. It improves texture and color of hair. Hence, it is a wonderful ingredient to get rid from graying hair. Pour a little tea water on hair and wrap it with towel for 1 hour to extract desired results for your glossy tresses. All these wonderful health benefits of black tea are caused due to its rich nutritional composition that is low in sodium and calories. If steeped perfectly, this beverage can enhance your energy levels and give you a temptation to indulge in its refined bliss every morning. This article has been written by Vaishali. She is an author, freelance writer, and wellness consultant. Vaishali is a huge Hollywood Music fan and loves to spend time listening to songs. Currently, she provides the information on nutrition and gourmet health food and drink recipes. You may contact Vaishali on her website. 4 Amazing Health Benefits of Green Tea 5 Health Benefits of Coffee What are effects of drinking excessive tea/ coffee? I thought it was interesting how the article mentions that black tea can help strengthen your immunity. I think this would be really beneficial, but I haven’t really had black tea before. Is there a black tea sampler I could try so as to determine which flavor I like the best? I’d love to have a natural remedy to increase my body’s immunity. 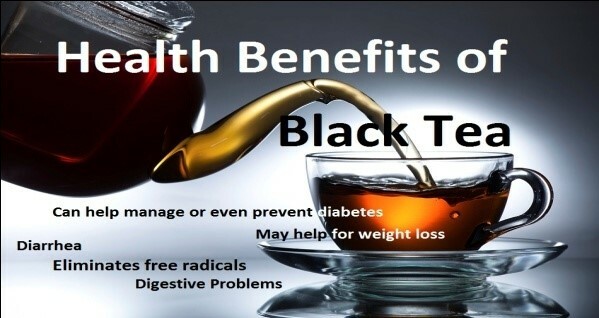 Black tea is one of the healthiest drinks which I really enjoy having. I knew it had many benefits, but now it is even more clear why it should be consumed on a regular basis. Thanks for sharing!